Free admission for citizens of the European Union. Everyone else: €1.20 (free for under-18s or students, over-65s or pensioners, ICOM and ICOMOS members and journalists while exercising their profession). 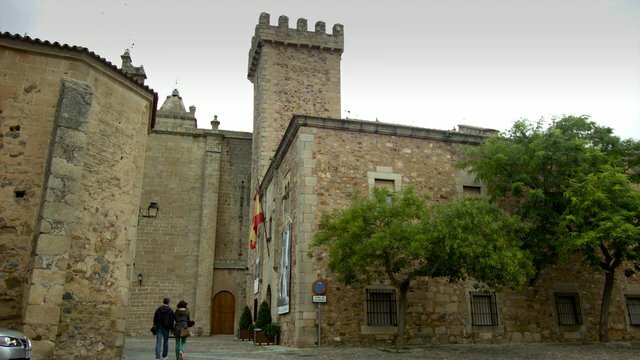 This museum, opened to the public in 1992, could not be located in any place other than the Cáceres old quarter and in two of its most representative historic buildings, which have also been declared UNESCO World Heritage: Casa de las Veletas and Casa de los Caballos. The first building stands out for its own history and beauty as it was the Almohad Alcázar fortress and then palace at the end of the 15th century. This unusual building is responsible for housing the sections on the archaeological and ethnographic past. The pieces of sculpture, paintings, etchings and religious gold and silverwork will allow you to journey through several historical periods. The second building is a solid 16th-century construction that was a stable turned into a house. Joined to Casa de las Veletas, its three floors have a Fine Arts section, where you can enjoy modern and medieval artworks, made up of sculptures, gold and silverware and paintings, amongst which the picture, El Salvador, by El Greco stands out. Another of the rooms that you can't miss is the one situated on the first floor, which has paintings and sculptures of several contemporary Spanish artists and artists from Extremadura.